Context-Free Language Reachability (CFL-R) is a search problem to identify paths in an input labelled graph that form sentences in a given context-free language. CFL-R provides a fundamental formulation for many applications, including shape analysis, data and control flow analysis, program slicing, specification-inferencing and points-to analysis. Unfortunately, generic algorithms for CFL-R scale poorly with large instances, leading research to focus on ad-hoc optimisations for specific applications. Hence, there is the need for scalable algorithms which solve arbitrary CFL-R instances. 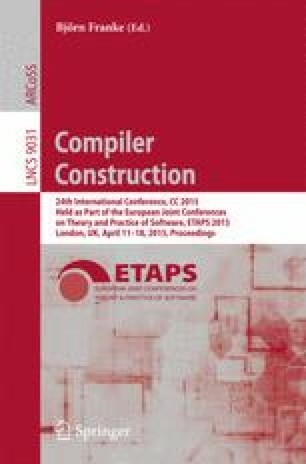 In this work, we present a generic algorithm for CFL-R with improved scalability, performance and/or generality over the state-of-the-art solvers. The algorithm adapts Datalog’s semi-naïve evaluation strategy for eliminating redundant computations. Our solver uses the quadtree data-structure, which reduces memory overheads, speeds up runtime, and eliminates the restriction to normalised input grammars. The resulting solver has up to 3.5x speed-up and 60% memory reduction over a state-of-the-art CFL-R solver based on dynamic programming.